Patron saints are considered special protectors or guardians in our lives. When the Pope canonizes an individual for sainthood, the saint may be selected as a protector to guide them in their mission due to a special talent, affinity, or event in the saint’s life that coincides with an individual’s or organization’s interest. 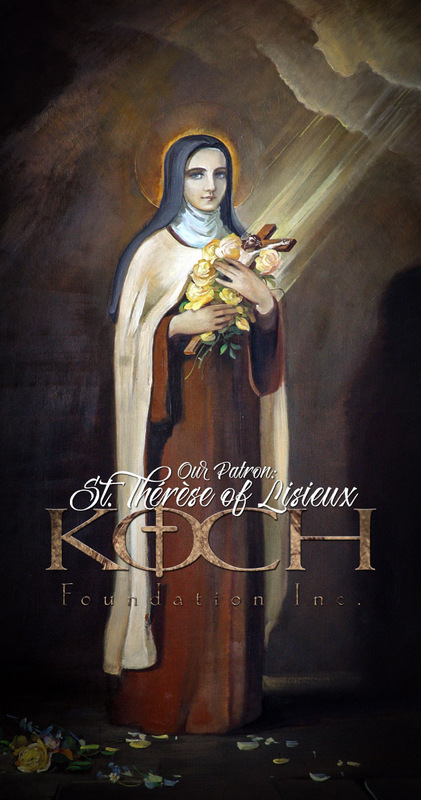 St. Thérèse of Lisieux, known by many as La Petite Fleur, or “the Little Flower,” was chosen as the patroness of the Koch Foundation in 1998. She never had the opportunity to engage in mission work, but due to her extraordinary love for the missions and her continual prayers and letters of encouragement to the Carmelite mission in what was then French Indochina (Viet Nam), she was named among the patron saints of missions.